How do we know about the Operation Reinhard death camps of Treblinka, Belzec, and Sobibor? Within a month of the opening of Belzec (November 1941), the first extermination camp constructed, reports from the Polish underground began to appear. Most importantly, these reports noted that large numbers of Jews were entering the camp and not coming out. Similar reports on Treblinka and Sobibor emerged quickly after the Nazis opened these extermination camps. The information made its way into the Jewish ghettos and, in 1942, Polish resistance fighter Jan Karski delivered information on the extermination camps to the Western Allies. Rumors abounded about the method of murder. Wartime publications outside Nazi-occupied Europe reprinted some of the reports. Since many wartime reports lacked authoritative information, false or unsubstantiated rumors circulated widely. Precise information about the death camps was unpredictable due to Nazi efforts to cover up their crimes. Similarly, passing clandestine information during the war was quite dangerous. In summer 1944, the Soviet army liberated numerous death camps as they advanced toward Berlin. Shortly after finding the camps, Soviet army investigators interviewed local villagers and physically examined all three liberated sites—Belzec, Treblinka, and Sobibor. 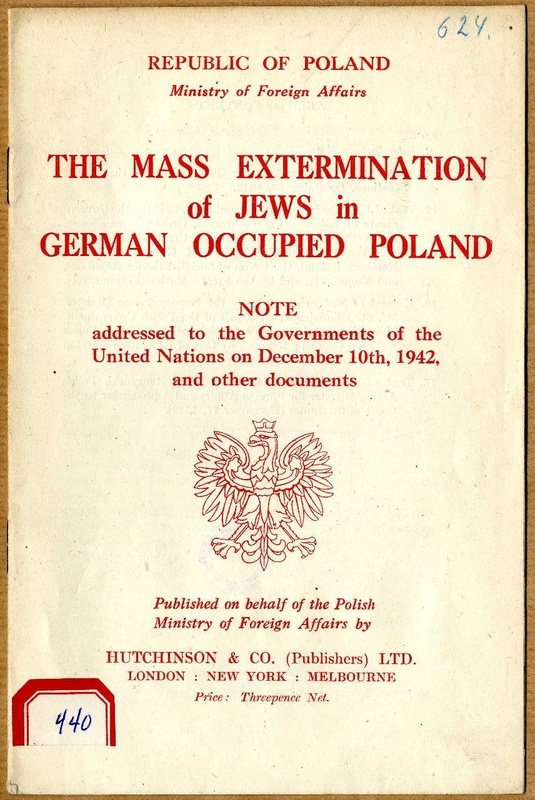 From 1944-1945 the Central Jewish Historical Commission in Poland gathered survivor and bystander testimonies on all three camps, eventually publishing memoirs and studies in Polish and Yiddish. 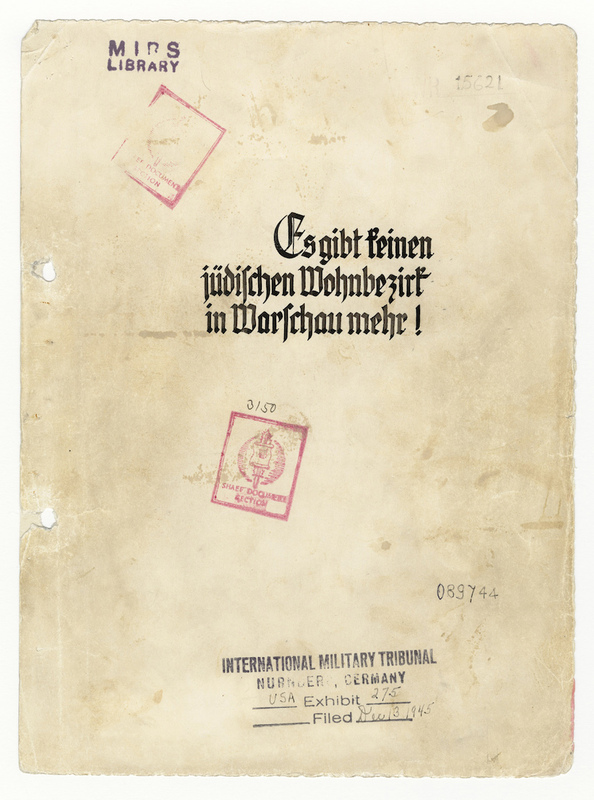 Likewise, the Commission analyzed Nazi documents related to the camps. In autumn 1945, investigators of the Central Commission for Investigation of German Crimes in Poland examined Belzec, Treblinka, and Sobibor. They excavated several graves in Treblinka and found substantial quantities of ash, bones, and other body parts. Like other commissions, they collected eyewitness testimonies and analyzed Nazi documents relating to the camps. They concluded that Treblinka, Belzec, and Sobibor had been mass extermination camps. The Central Commission estimated the number of victims to be 1,631,000 persons. This figure has since been reassessed and modified to around 1,400,000. Directly after the war, even some Nazi perpetrators noted the crimes committed at Treblinka, Belzec, and Sobibor. For example, in 1945, Kurt Gerstein, an SS officer who had visited both Treblinka and Belzec, wrote a detailed report about the gassings he witnessed at Belzec. In contrast to the other camps, the staff of Aktion Reinhard (Treblinka, Belzec, and Sobibor) was slowly apprehended and brought to justice. When the Nazis closed the camps in 1943, the staff was dispersed and assigned to other duties. Some died before the end of the war; others assumed false identities and fled to other countries. In 1948-1950, some of the SS officers who had served in the camps were arrested and put on trial. Some of the Ukrainian guards had also been apprehended and interrogated in 1944 and 1945, but their testimonies were not available in the West until decades later. In the 1960’s, West Germany began a series of investigations on the Operation Reinhard camps. West Germany arrested and tried a number of SS and Ukrainian guards who had served at one of the three camps. The trial of Adolf Eichmann in Israel in the early 1960’s brought considerable attention to the Operation Reinhard death camps. Several survivors of Treblinka and Sobibor testified at the Eichmann trial. Public interest in these camps has not faded and ongoing efforts to prosecute guards and staff continues to this day. For instance, Ivan Demjanjuk, who had immigrated to the United States, was accused of being “Ivan the Terrible” in 1986. “Ivan the Terrible” was a Ukrainian guard of extreme cruelty at the Treblinka camp. Demjanjuk was deported to Israel where he was prosecuted in 1987. The Israeli court convicted him and sentenced him to death, but the sentence was overturned on appeal after new evidence showed that Demjanjuk had been at Sobibor, not Treblinka. In 2010, he was put on trial again for his role at Sobibor. He was convicted in May of 2011. From 1997 to 1999, Andrzej Kola, an archaeologist, conducted a thorough examination of the Belzec grounds. By drilling cores every 25 feet, he discovered the exact the locations of the mass graves. Kola’s intention was not to excavate the graves themselves, but to chart their locations and dimensions so authorities could avoid them when building a new memorial to the victims. Kola also did some excavation of camp buildings. In 2001, Kola examined the grounds of Sobibor, definitively locating seven large graves and several camp buildings. In 2007, notable Israeli archeologist Yoram Haimi, alongside several other archaeologists, conducted an investigation at Sobibor. They too located many artifacts and mapped the location of camp buildings. Haimi’s work at Sobibor is ongoing and has been recently documented in a report. In 2012, he was requested to do additional archeological work so that a new memorial could be erected. As stated above, already in 1945 the Central Commission for Investigation of German Crimes in Poland conducted an investigation of the Treblinka death camp. During this investigation, they excavated several graves in Treblinka and found quantities of ash, bones, and body parts. No other investigation occurred until 2010, when Caroline Sturdy Colls, a forensic archeologist, began a scientific investigation of the grounds. Using GPR (Ground Penetrating Radar), Colls has preliminarily identified “a number of buried pits” that are “considerable in size, and very deep, one in particular is 26 by 17 meters [85 by 58 feet].” Colls noted, “Another five pits of varying sizes and also at least this deep” are located near the large pit. Furthermore, “given their size and location, there is a strong case for arguing that they represent burial areas.” Colls work has received accolades and re-sparked public interest in the death camps. Cover of Stroop Report. By Unknown Jürgen Stroop [Public domain], via Wikimedia Commons.